Robert E. Lee: Was he a traitor to his country? Questions over the “legacy” of Virginia son and Confederate General Robert E. Lee are emerging once again on the campus of the university named for him and George Washington in Lexington. A group of law students want Washington & Lee to remove Confederate flags from the grounds, “acknowledge and apologize for participating in chattel slavery,” officially recognize Martin Luther King Day and ban a neo-Confederate march on campus during Lee-Jackson Day. Their demands, of course, are not sitting well in a town where some would prefer the Stars and Bars flying in place of the American flag on streets. Strong words by Brandon Dorsey, the so-called “commander” who still thinks celebrating a war fought to protect “states’ rights” that included the “right” to own and use slaves is a source of pride. As a native-born Southerner, I have long been bothered by the questionable practice of honoring those who, by most measures of patriotism, abandoned their country and became traitors by fighting against it. 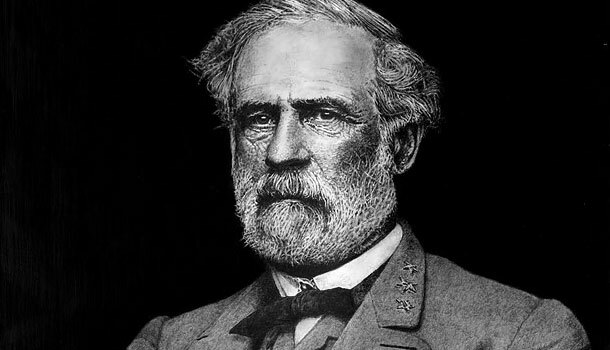 When Robert E. Lee resigned his commission in the United States Army and signed on to command the Confederate Army of Northern Virginia, he became — under the Uniform Code of Military Justice — a traitor of the United States. Is such an action worthy of honor? History has varying opinions on the matter but Virginia’s insistence of keeping a state holiday that honors both Lee and another Confederate general — Thomas “Stonewall” Jackson — for their actions raises questions about whether or not the hatred that sparked the Civil War is buried or still alive and well in the Commonwealth. Confederate flags still fly in front of some homes (usually trailers with tires on the roofs) in our area or drape the back windows of pickup trucks that are also adorned with bumper stickers that say “Forget Hell!” or proclaim other beliefs that the reasons for the war were valid. Anjelica Hendricks and Dominik Taylor are two Virginians among the seven students protesting W&L’s continuing “tradition” of honoring a sordid past. Taylor says the university’s practice of allowing neo-Confederates, costumed as soldiers of the South, to march across the campus and hold a ceremony on Lee-Jackson Day hurts students and faculty and dishonors the school. Proponents of the right to honor Lee claim that he and his wife inherited slaves from her father and immediately set about to free them. History, however, sasy otherwise, noting that freedom for the slaves was part of Lee’s father-in-law’s will and that Lee fought in court to delay that freedom before Abraham Lincoln’s Emancipation Proclamation forced him and other slave owners to comply. Was Robert E. Lee a patriot or a traitor? Well, it is a bit of a cunundrum. You have to weigh their sentiments, Generals Lee and Jackson, for they were products of their times. Code and honor to home and state meant everything. I can trace my ancestry to include the Lee’s, but they went through White Sulphur Springs, Va at the time. Some of my ancestors from that era fought on both sides. I was always proud of the Virginians that fought gallantly as I was taught in the early 60’s version of Virginia history. Of course it was biased and one sided, and nothing much was said about the why’s and wherefore’s or other state’s perspectives either. At my age now, and what I have learned from life, I wish I could have been able to time travel and show General Lee the consequences of the War. I firmly believe that if General Lee stayed with the Union, the Cival War would have ended quickly with the Southern States aboloshing slavery, whether they wanted to or not and many lives and families would not have been destroyed. Had Virginia not split, they would have been a fore-runner of the states in the union at that time, as Va was before the war started. As for Lee and Jackson being traitors? No, they were a product of their times and background, unfortunately. But heroes non the less. Interesting question Doug, and I agree w/Mike, that they were products of their time. Neither patriot nor traitor, really – it all depends on the perspective taken of the issue. As a product of that time period, he bought into a value system that encompassed certain values of loyalty and honor – but these values were also enmeshed with one of racial superiority. When you combine the two you get a pretty toxic mixture. Again, I don’t see Lee as either patriot or traitor but a man of his times who should be studied (not celebrated). By studying him the lessons can serve as a warning that so called honorable men can sometimes be the most destructive when they combine these supposedly honorable values with a destructive ideology. Where’s the balance? When President Lincoln broke his word not to supply Ft Sumter, and demanded 75,000 men from the States to invade SC, was that constitutional? Was he a traitor? Was it worthy of impeachment? When he abolished Habeas Corpus and jailed journalists and destroyed presses, was that constitutional? When he waged aggressive war on civilians, was he a war criminal? Was defense of home and family against invasion and illegal government more wrong in 1861 than 1776? If George III was a despot, so was Lincoln. If Lee was a traitor, so was Washington. Commander Brandon Dorsey has more on the ball than the W&L law students. Would they prefer to sign to uphold the legacy of President and General Grant, who kept his slaves as long as possible, because “good help is hard to find”? Grant, who banished Jews from the territory he controlled? I’ll take the honor of Davis, Lee and Jackson over Lincoln, Grant and Sherman any day.